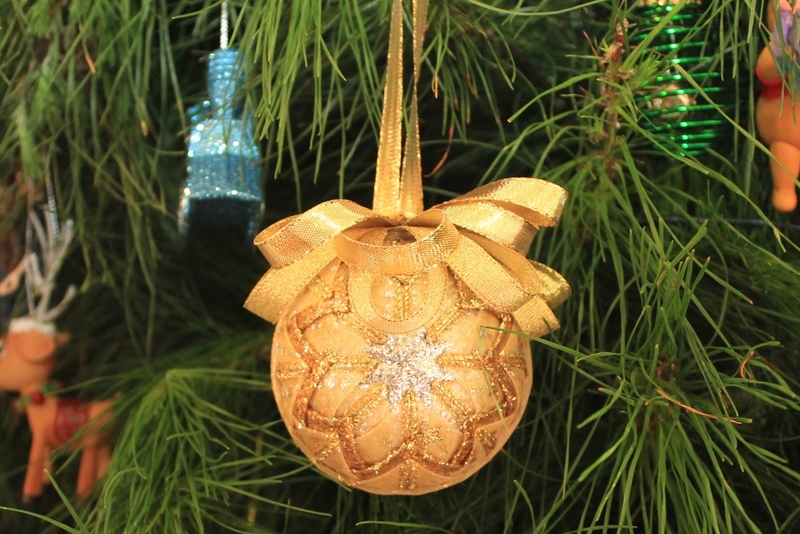 To compliment my Gold and White Christmas Table Setting I've found an exquisite gold ribbon bauble. These baubles are made by Emily, from All that Glitter . The baubles come in a variety of colours and they can be personalised with a beaded name and year charm. They look great on the tree and would make a great Christmas gift option. I know I'll be ordering more next year - enjoy.